The decision to extradite Vietnamese dissident Ly Tong was overturned by Thai appeals court Tuesday. Ly Tong was on trial for violating Vietnam's airspace by hijacking a plane and dropping 50,000 anti-communist leaflets over Ho Chi Minh City. 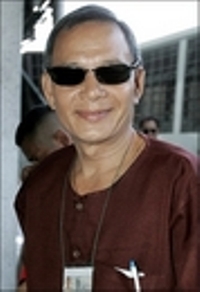 The court ruled Tong's act was a political offense, rather than a criminal one, and Thailand does not extradite people to face trial on political charges. It overturned a September decision by a lower court and declared Tong a free man. "Vietnam wants to take the defendant back to prosecute him for a political offense," said Judge Wisarut Sirisingh. "What he did caused no harm to the territorial security of Vietnam." Tong, 61, a veteran of the former South Vietnamese air force who later became a U.S. citizen, appeared in court dressed in an orange prison uniform with his ankles shackled. He said he planned to return to the United States to continue his political struggle by peaceful means. Tong's lawyer, Worasit Piriyawiboon, said he expected Tong to leave Thailand this week after obtaining a passport from the U.S. Embassy. Tong hijacked the twin-engine plane from Thailand in November 2000 and circled Ho Chi Minh City four times as he dropped leaflets urging the people to rise against Vietnam's Communist government, Wisarut said. The leaflet-dropping coincided with a visit to Vietnam by then-U.S. President Bill Clinton. Tong, who hijacked planes before to spread his political message, was arrested after landing back in Thailand and later sentenced to jail. He has spent the last seven years in a Thai prison. The Vietnamese government sent an extradition request to Thailand in December 2004 accusing Tong of slandering the Hanoi government and violating the territorial security of Vietnam. The Thai lower court in September did not consider the slander charge, deeming it a political offense, but ruled there was sufficient reason to extradite Tong. Tong argued his leaflet-dropping was purely political, not criminal, and urged Thailand not to follow through with the extradition. Tong also insisted he had not hijacked the plane, but hired it for a flying lesson and then took over as pilot. In December 2005, California State Assemblyman Van Thai Tran led a delegation to Thailand to press for Tong's transfer to the United States, saying he had served more than one-third of his prison term - a requirement under a Thai-U.S. treaty. In 1992, Tong hijacked a Vietnamese Airlines airliner and forced the pilot to fly over Ho Chi Minh City as he dropped anti-communist leaflets. He then parachuted from the plane and was captured by Vietnamese authorities and imprisoned. He was released and returned to the United States in 1998, whereupon he rented an aircraft to drop anti-communist leaflets over Havana, Cuba. His audacious, self-appointed missions have made him a folk hero among parts of the overseas Vietnamese community as well as in die-hard anti-communist circles.